Fully narrated tour, with comfortable vehicle that seats no more than 14 passengers. Once we arrive at our destination you will be transferred to the site in a off-road vehicle operated by your Navajo guide. 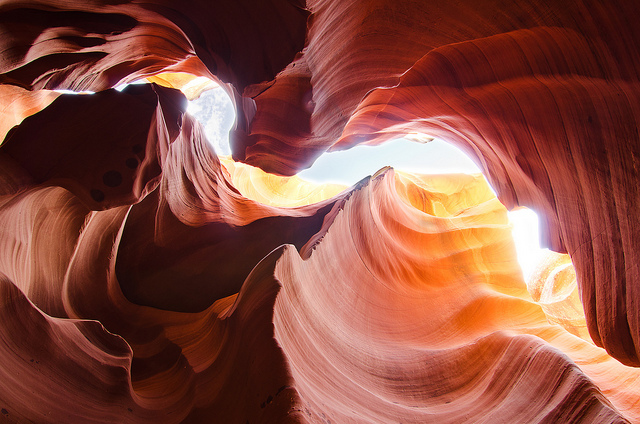 Once there, you will navigate through a gently carved red sandstone of Antelope Canyon. Walk with your Navajo guide on their land through the beautiful and graceful curves of this slot canyon, with walls illuminated by occasional shafts of light that shines down from above. Great and unique photo opportunities abound as the angle of the sun changes, your opportunity for photos change. The colors are rich and deep in the morning and afternoon, with the famous light beams occurring from April to September. 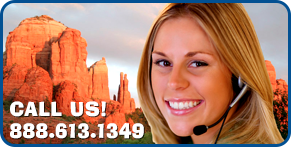 Based on the group and time, your guide will show you additional Northern Arizona attractions such as Glen Canyon Dam, Horseshoe bend, Lake Powell, Native American Trading Post and many more possibilities. Not only is this location visually stimulating, it is a cultural experience as you travel through the Navajo Reservation as our guide shares with you stories of this ancient culture and information about the amazing geology and vistas along the way. Lunch options will depend on the weather. If the weather is our typical sunny and wonderful one, we will enjoy a box lunch at a scenic venue. If the weather is a tad too cold or too hot we will seek the comfort of a local restaurant. You should wear comfortable shoes (not a good time to bring brand new shoes), a hat to keep your head protected from the sun, sunglasses, and sunscreen. It may be cool in the early morning or evening and can get very hot in the afternoons. A light shirt, shorts and a rain jacket are recommended in warmer months. It does rain in Arizona so you may also want to carry an umbrella. Light day packs are great for carrying everything you will need and for filling up with all of the wonderful souvenirs that you will find at the many gift shops. Of course, don't forget your camera with plenty of film or memory. Mild. Light hiking over sandy and irregular surfaces required in order to see the slot canyons. No real change in elevation, its just like a walk on the beach. Bottled water is provided, but guests are welcome to brink alternate beverages and snacks. Please no alcohol is permitted. Tour primarily departs on Tuesdays, Thursdays, and Saturdays but may operate different days for larger groups. Tour operator requires four passengers minimum to conduct tour. Optimal time for this tour is from March to October due to the angle of the sun to achieve those beautiful beams of light. Tour operates all year long but Winter is not ideal for picture opportunities.